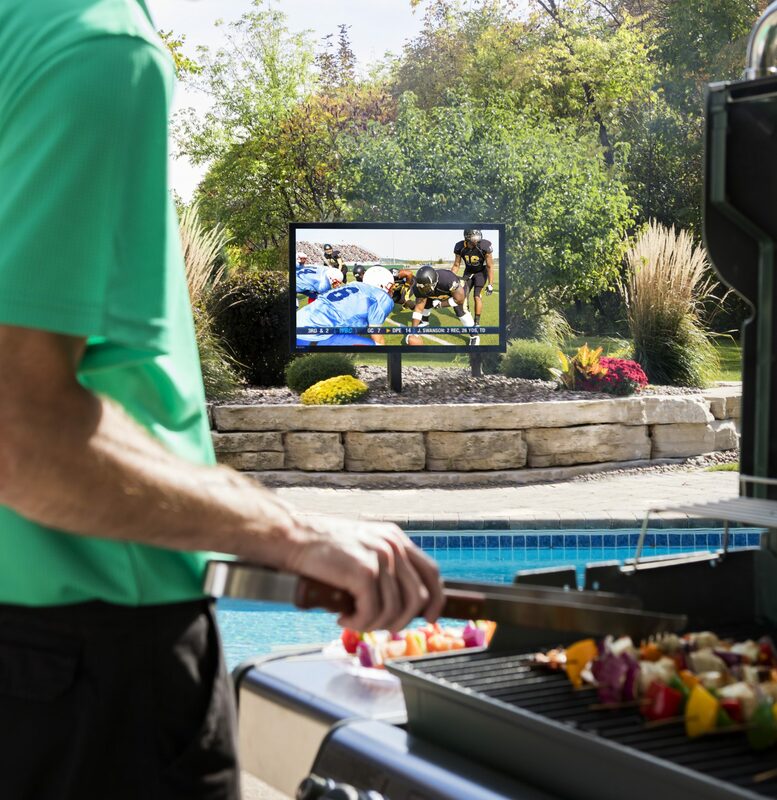 A functional outdoor living television has been the dream of summer football BBQers for a long time now. Fortunately, the people at Séura are making this a reality through new technology. In this interview, we learn how this company has been changing the game of outdoor entertainment. I&T Today: Why are more and more people focusing on renovating and improving their outdoor spaces? How does this impact the outdoor TV market? Do you see this trend of outdoor living rooms continuing to expand? Keegan Coulter: As entertaining, dining, and recreation move outside, there is a growing demand to bring technology with them. The outdoor living room market will continue to expand as new technology makes what was previously impossible the new reality. People who have a brilliantly designed comfortable outdoor space don’t want to have to choose between having fun outside and watching a game or movie inside—and now they don’t have to. Séura makes it possible to bring indoor technology outside in a safe and elegant way that won’t detract from the home décor. Séura’s all-season weatherproof outdoor televisions are a perfect centerpiece for homeowners’ entertainment experience, whether they are throwing a big party or just enjoying the outdoors with their family. As Séura leads the category growth with sleek and stylish outdoor TVs, we are excited for the expected continued growth of the outdoor TV category. Much of this progress is due to consumer demand for outdoor technology, and the desire to incorporate it into their outdoor living spaces in an elegant way. People are spending more time outdoors and more resources on their outdoor living spaces. We don’t see this trend ending any time soon. I&T Today: What are some important factors homeowners should consider when purchasing an outdoor TV? KC: It is very important for homeowners to consider their year-round environment when selecting an outdoor television. Factors like temperature variations, humidity, and moisture levels, along with the prevalence of insects and other pests, are not concerns for televisions used indoors, but are critical considerations for choosing an outdoor unit. Séura outdoor televisions are specifically designed to handle temperatures ranging from -30 to 140 degrees and are impervious to moisture and pests. That means Séura outdoor TVs are true all-season televisions for multi-climate conditions. Another factor to consider is ambient lighting. Indoor locations have the advantage of avoiding direct and ambient light from the sun, providing minimal glare on the television, but outdoor televisions can be subject to constantly shifting ambient light that can seriously affect picture quality and the viewing experience. Homeowners should assess where their screen will be located and which direction it will face in relation to the sun during expected viewing hours to decide if they are going to be happiest with a Séura Storm television for shaded outdoor areas not in direct sunlight, or a Séura Storm Ultra Bright television designed for use in direct sunlight and high-glare situations. The Séura website has great information about how lighting affects TV picture appearance. I&T Today: What are the main benefits of the Séura Outdoor TVs compared to just putting an indoor TV outside? Indoor TVs have ventilation holes in the housing so the heat created by the internal electronics can escape. Insects, moisture, and dust can enter through these holes and damage the internal electronics, which increases the risk of electrical shock and fire hazard. Séura Outdoor TVs have a Triple Lock Seal that protects against outdoor elements and prevents water, ice, dust, and insects from accessing the TV’s internal electronics. Indoor TVs are designed for indoor brightness levels and typically have high gloss finishes to enhance picture color. This makes for poor viewing outdoors in natural lighting. Compare that to looking at a mobile phone in sunlight where it can be difficult to see the screen. Séura outdoor TVs have high brightness panels and anti-glare and anti-reflective screens to deliver optimal picture quality, whether it’s in the shade or direct sunlight. Indoor TVs exposed to sunlight risk isotropic blackout, which is when black spots form on the TV and the picture is no longer visible. Séura’s Storm Ultra Bright Outdoor TVs are designed for use in direct sunlight and have a UV protective coating that prevents isotropic blackout from occurring. Indoor TVs suffer from daily temperature fluctuations that create moisture and corrode the circuitry inside of the TV. Séura Outdoor TVs are designed for temperature changes from -30 to 140 degrees F, making it perform year-round in any climate. Indoor TV manufacturer warranties often become void as soon as you use your TV outside. Séura’s factory warranty gives you peace of mind knowing that your TV is protected in all outdoor elements. Plus, many insurance companies will not cover damage caused by misuse, so if an indoor TV is used outside and starts a fire, any subsequent damage may not be prevented. Outdoor technologies have a reputation for being big and bulky. In the past, the only consideration was durability. Today, consumers are demanding solutions with more aesthetic appeal. At Séura, we believe design is just as important as performance and durability. Every Séura innovation has been carefully designed down to the finest detail. Séura Outdoor TVs have a slim and sleek design, measuring as thin as 2.7-inches. Séura Outdoor TVs are designed with a seamless glass face, discreetly beveled edges, and a subtle, mitered-aluminum frame with a beautifully-tapered profile. The Séura Strom Ultra Bright 84-inch television is an excellent choice for customers who want top-quality 4K Ultra High Definition picture resolution and cinematic scale in an all-weather, direct sunlight setting. In the past, people used projectors to get a picture of this size to outdoor spaces, but that was not an optimal solution because direct sunlight washed out the picture to the point where even seeing the image on screen was difficult. With the 84-inch Séura Storm Ultra Bright, homeowners don’t have to choose between sheltered placement and excellent picture quality and brightness. They can set one up next to their pool house and enjoy it year-round, any time of day, in any light and weather condition. I&T Today: What are the differences between the Séura Storm Ultra Bright and the Séura Storm Outdoor TV models? Designed with 600- to 700-nit panel brightness and anti-glare and anti-reflective screens, Storm Ultra Bright provides a vibrant image even in direct sunlight. Séura’s special UV screen stops harmful radiation from overheating the TV and prevents isotropic blackout and screen washout, so you can enjoy vibrant picture quality outside. The ultra-quiet Activ™ Airflow System keeps delicate electronics operating smoothly regardless of exterior conditions, and keeps Séura Storm Ultra Bright outdoor TVs operating in a temperate range from -30°F to 140°F and an IP56 waterproof rating. The super sleek 2.7-inch design of Storm makes it the thinnest outdoor TV available. Storm is designed with a 450-nit panel brightness and features an anti-glare glass screen for a vivid image in ambient outdoor lighting. The Storm has a multi-climate temperature range from -24°F to 122°F and an IP66 waterproof rating. Both models of Séura outdoor TVs are rated for all seasons. Séura Outdoor TVs feature a Triple Lock Seal that provides three barriers of protection against outdoor elements including rain, snow, ice, dust, and insects. The outdoor TVs are safety tested and certified for safe outdoor use. Séura outdoor TVs are beautifully created with a polished perimeter, a seamless glass face, tapered profile, and thin design. Select sizes offer the latest 4K/UHD picture resolution that provides a crisp image for a superior TV viewing experience. I&T Today: What do customers need to know about installation? Should your outdoor TVs be covered when not in use? KC: Séura recommends that homeowners use an AV integrator to install any outdoor electronic device—not just televisions. Electrical inputs are accessible from the back of Séura Outdoor TVs in a sealed compartment. It is important that power connections are properly installed. As far as covering the television, it is not necessary and will not affect the television’s performance, but it is recommended to help keep the TV clean. Anything left out of doors will pick up dust, pollen, and water spots after a rain. Who wants to wipe dust, pollen, and water spots from their beautiful outdoor television screen every time they use it?